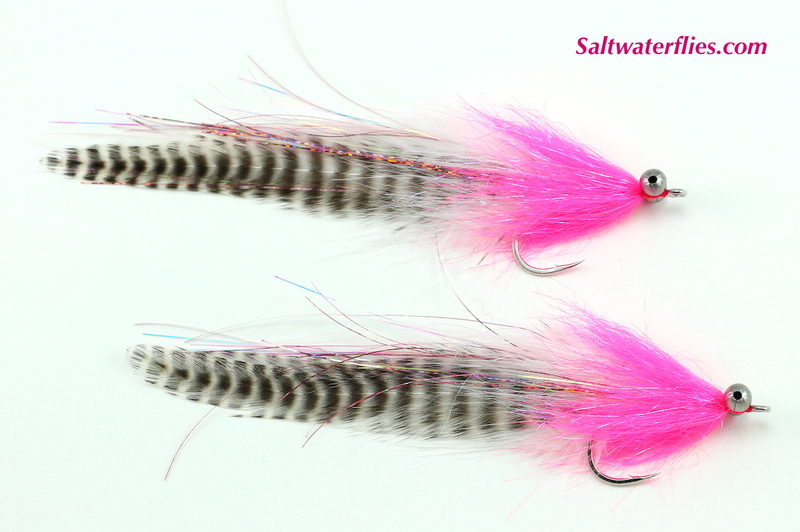 There are many times when a classic fly pattern remains the best tool for the job, and the Whistler continues to be a very effective saltwater fly for a variety of fishing situations. 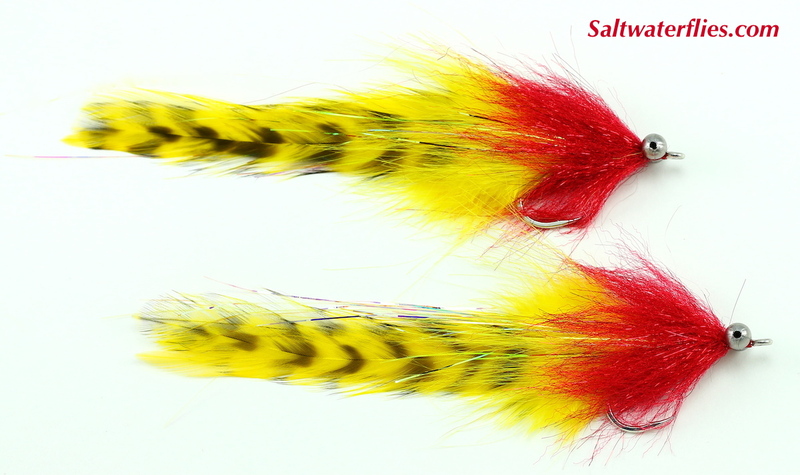 We have recently revised our versions of this long-established pattern to feature a blend of natural and synthetic materials for great action in the water, a variety of sizes, and some winning color combinations. 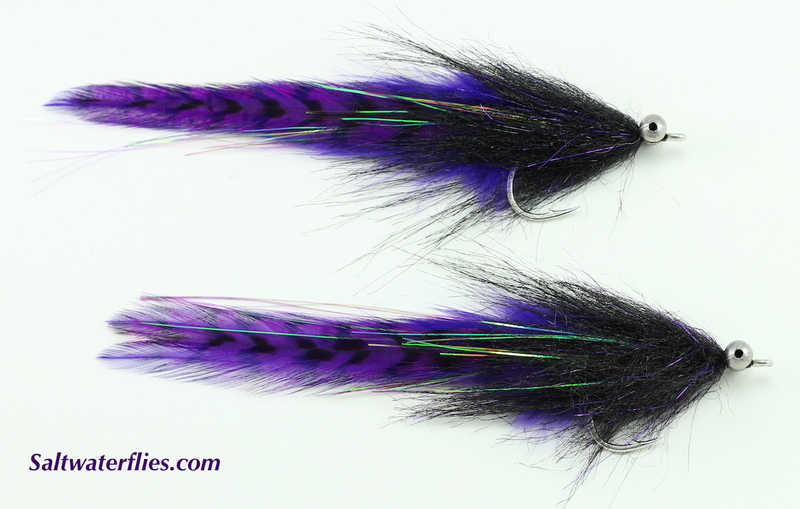 These flies are called Whistlers because the large bead chain eyes make a whistling sound when cast - this same dynamic causes these flies to give off sound vibrations under water, helping fish key in on the fly and strike. 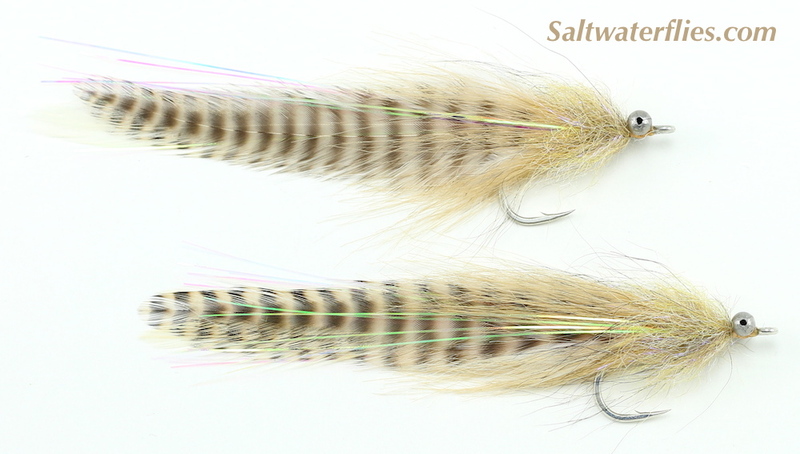 The #4/0 flies are a favorite for big jungle tarpon and snook, striped bass, barramundi, and redfish and also for bruiser freshwater species like peacock bass and northern pike. 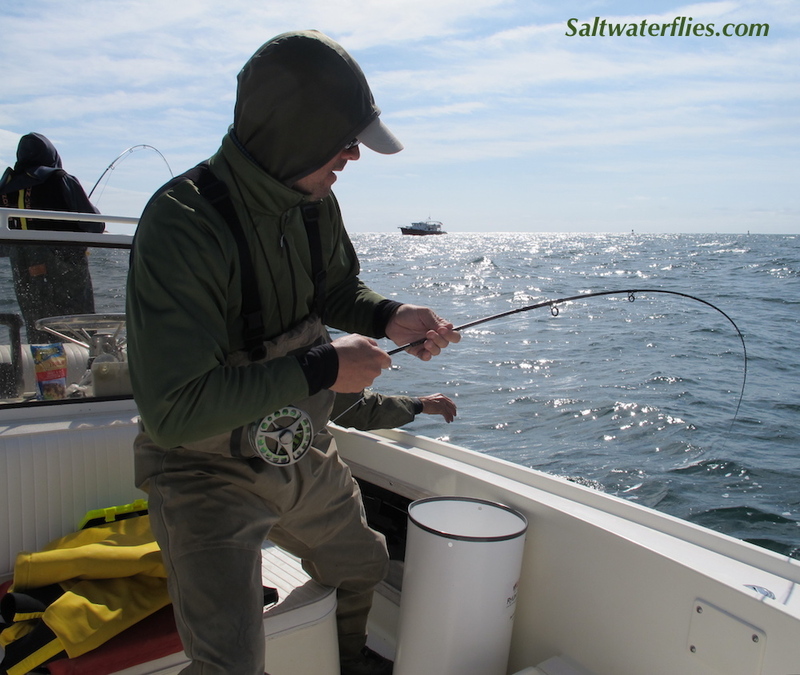 The smaller #2/0's and #1/0's will suit situations that call for a smaller, lighter fly, like backcountry fishing. 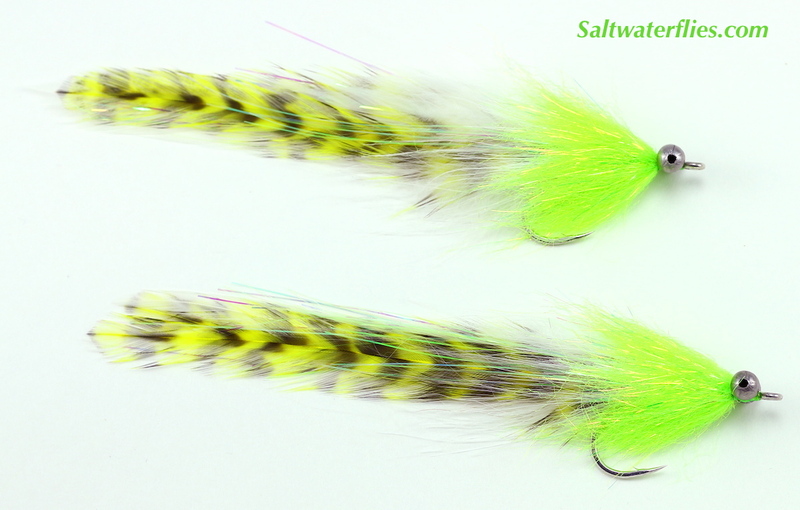 The #1/0 Lemon/Lime and White/Green colors are an alternate style of tie made with a craft fur tail and rabbit fur collar for lots of action in a small package! 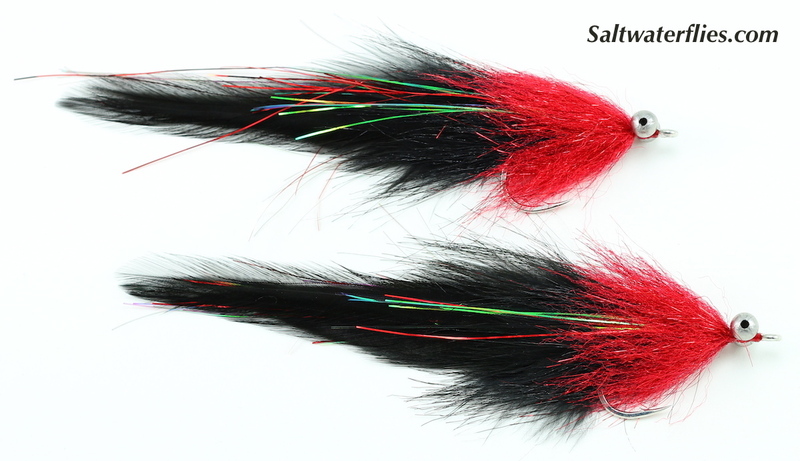 As with all of our hand-tied flies, supplies are limited, so order early for best selection. Scroll down below the ordering links to see photos of the various color/size combos.